Who is eligible for the Florida Homestead Exemption? 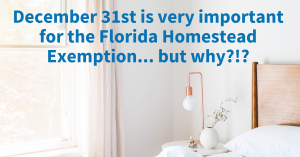 At this time of year, timing is critical and for many the rush is on to close prior to December 31st, but it is also important to understand how the Florida Homestead Exemption works, who can apply, and what benefits are available for those that are eligible. While many may have heard about the Florida Homestead Exemption, today’s video will break down the details so you will be in the know once closing occurs, you have the keys, and homeownership has officially started! Remember, if you have a contract that needs an expedited closing date, our In-House USDA and VA underwriting may be the solution, so just call or email to discuss you scenario and let us show you the “Metroplex” difference! Once the journey to purchase a home has been completed, property tax exemption benefits may be available, and timing can be critical so you don’t let these potential savings slip away. As a starting point, the Florida Homestead Exemption can help homeowners save money on property taxes by reducing the taxable value of the property. Additionally, it is a provision found within Article X, Section 4 of the Florida Constitution along with additional details being found within Article VII, Section 6. While we are using the Highlands County Property appraiser as an example for today, if you are in another county please make sure to contact your local property appraiser to ask any questions and to confirm all deadlines. So, when Florida Homestead Exemption filing deadline? Provided you are eligible, a homestead exemption filing deadline is March 1 of the year for which the exemption will apply. If March 1 lands on a weekday or holiday or for any late filing questions, please contact your local property appraiser for any filing date confirmations. What type of questions should you be prepared to answer? Whose name or names were on the title on January 1? What is your social security number and your spouse’s social security number? Were you or your dependent living in the dwelling on January 1? Do you claim residency in another county or state? While these question examples were provided by the Florida Department of Revenue, the property appraiser may ask additional questions or ones that are similar in nature. Also, if you have moved from a previous Florida homestead, you may be eligible to port your entire homestead of a portion of it through the Save our Homes Portability Transfer. 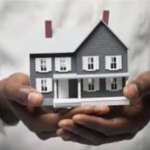 A great resource for additional exemption questions will be from your local county property appraiser, and here is a link to the list of Florida County Property Appraiser offices. 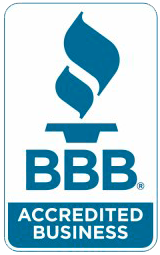 Before we go, don’t forget to take advantage of our free Second Opinion Service “SOS” which is designed to help Realtors and Buyers get access to an expert second opinion and is great for both new pre-qualifications and loans that are already in progress.